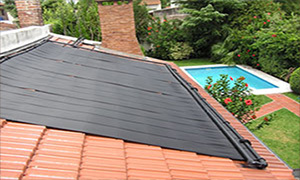 Heliocol maintains its position as the world's largest manufacturer of solar pool heating systems by offering customers unsurpassed value. Customers enjoy an extended or even year-round swimming season while dramatically reducing or eliminating their pool heating expenses. From the Olympic Games to the backyard pool, Heliocol systems are the choice of smart swimming pool owners everywhere! Heliocol systems heat swimming pools in all types of climatic conditions, from hot and arid climates like those found in the Mohave Desert of Arizona, to cold, harsh climates including the Swiss Alps and Northern Canada. Have the ability to set your desired temp. The sensors determine the best time to run the heaters. Your pool pump sends cold water from the pool through solar collectors. Solar collectors heat the water. Warm, solar-heated water flows back into your pool. 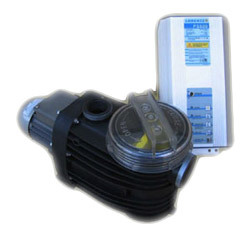 Your filter pump sends cold pool water through the solar panel. The solar panel transfers the sun's heat to the water inside the solar tubes. Warm, solar-heated water flows back to your pool. Heats your pool to a nice warm temperature. Is environment-friendly - free heat from the sun. Dramatically reduces or eliminates pool heating costs. Adds value to your pool and to your home. *We can size systems to run the pool 100% on solar electric with solar pump systems. The bottom line is, we use natural solar energy in an easy, safe, and cost-effective way.